On the second Sunday of each month, non-perishable food items are brought to the church and donated to the Food Bank. 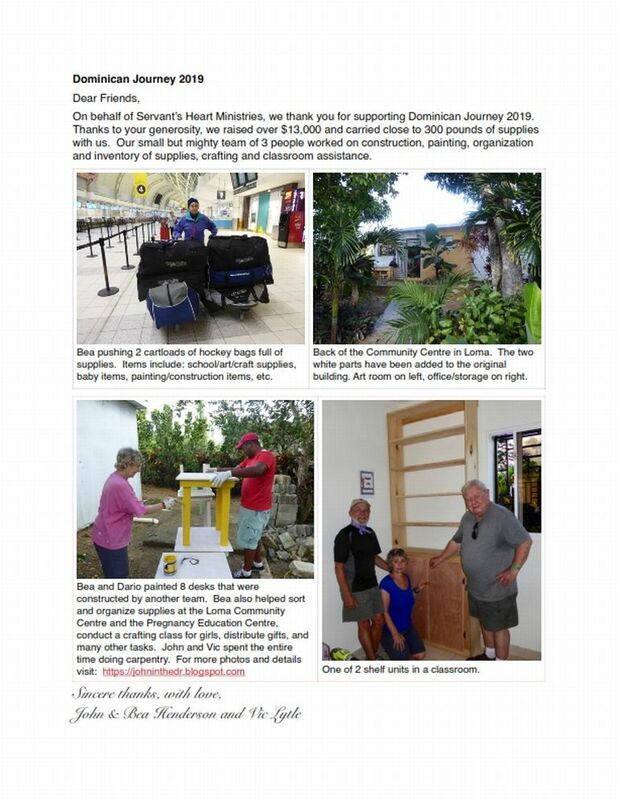 For the past 10 years members of the congregation have joined others from central and southwestern Ontario in supporting humanitarian projects in the Dominican Republic. They have worked with The Samaritan Foundation and Servants Heart Ministries in the building of homes, medical clinics and water systems, painting projects, feeding programs for children and adults, and the education of children. Over the years they have raised almost $500,000 and distributed over ten tons of supplies to needy people. Members of the congregation offer their support at services held for Week of Prayer for Christian Unity and World Day of Prayer.